Welcome to our website www.missoni.com. Below is the main information on the processing of your personal data performed by Missoni , with headquarters in Via Luigi Rossi 52, 21040, Sumirago (VA), Italy, C.F. and VAT n°. 00213650120 (Missoni), as Data Controller. For any clarification, questions or requirements related to your privacy and the processing of your personal data, you can contact us at any time by sending a request to our ‎‎Customer Care‎‎ department, or by writing to the address of Missoni. The personal data that Missoni collects is that provided by you to us when finalizing an order and purchasing goods, and those that we collect as you browse or use the services offered by www.missoni.com. Missoni can collect data about you, such as personal details like name and surname, shipping and billing address, browsing data and your purchase habits. Your personal data is processed by duly trained staff of our company, and, for organizational and functional needs related to the provision of services on www.missoni.com, by our providers. The latter have been assessed and chosen by Missoni their proven reliability and competence. Some of these subjects may be based in non-EU countries and, in these cases, the transfer of your personal data to these countries is performed in compliance with the guarantees provided by law. We keep your personal data for a limited period of time, depending on the purpose for which it was collected, at the end of which your personal data will be deleted or otherwise rendered anonymous in an irreversible way. The retention period is different depending on the purpose of the processing: For example, the data collected during the purchase of goods on www.missoni.com are processed until the conclusion of all administrative and accounting formalities, and is, therefore, stored in accordance with local tax legislation (ten years); those used to send our newsletter are kept until you ask to stop receiving it. At any time, depending on the specific treatment, you can: Withdraw your consent to data processing; know what are your personal data in our possession, their origin and how they are used; request the update, correction or integration as well, in the cases provided for by the current provisions, the cancellation, the limitation of treatment or oppose to their treatment. If you wish, you can request to receive your personal data in possession of Missoni, in a format readable by electronic devices and, where technically possible, we can transfer your data directly to a third party indicated by you. If you believe that the processing of your personal data has been carried out illegitimately, you can file a complaint with one of the supervisory authorities responsible for compliance with the rules on personal data protection. In Italy, the complaint can be filed with the Guarantor for the Protection of Personal Data (http://www.garanteprivacy.it/). Who is responsible for the processing of the data? Missoni with headquarters in Via Luigi Rossi 52, 21040, Sumirago (VA), Italy, C.F. and VAT n° 00213650120 (Missoni) is Responsible for the processing of the personal data, that is, the subject who decides how and why to process your personal data. You can always contact Missoni in writing to the address aforementioned or by contacting our ‎‎Customer Care department‎‎. For the registration on My Account, we collect your name and surname, your email address, password and your date of birth. If you are a registered user, we collect information about your access to the reserved area of the site. Subject to your prior consent, and through the analysis of your personal data, we process information about your interests and preferences relating to our products and services, in order to customize our services and commercial offers based on your interests. We collect information about your browsing on www.missoni.com, such as the pages you visit and how you interact with the single page and we save this information in our servers. We inform you that Missoni does not process data from minors. When you access www.missoni.com and use the services offered by Missoni, you declare that you have reached the age of majority. Conclude and execute the purchase contract for the products offered on www.missoni.com. When you complete your purchase, we will request the personal data necessary for the execution of the contract; such as payment, anti-fraud checks, if you choose to pay by credit or debit card, billing, shipping of the product and possible return management. Provision of the services offered onwww.missoni.com. For this purpose, Missoni needs to collect, relating to each service and its characteristics, the personal data necessary for the performance of the service requested. Sending of your Resume. If you send your Resume in order to be considered for a position, Missoni shall use the information contained within exclusively for that purpose. The data relating to your application may be transferred to third-party management providers in charge of the collection of applications. Your Resume will be kept for a maximum period of six months, after which it will be deleted: If you want, you are more than welcome to send us a new, updated version. With your prior consent, Missoni will be able to personalize your experience as a registered user on www.missoni.com, proposing previews and offers in line with your tastes and sending you commercial communications tailored to your interests. The customization is made possible by the analysis of your personal information in our possession, described in the previous section 'What personal data do we collect?'. For further information on this data, and on the activity that allows its process, please refer to the section ‘My Account’. Should you wish to authorize the activities referred to in points h) and i) and subsequently do not wish to receive further communications from Missoni, or would like to limit the manner in which you are contacted, you may interrupt these communications at any time by simply clicking on the appropriate "unsubscribe" link at the bottom of each communication, accessing My Account, you will always be able to contact Missoni through our ‎‎Customer Care‎‎ department, or by writing to the aforementioned address . We inform you that you may receive further communications from us even after submitting your cancellation request, as some submissions may have already been planned, our systems may take some time to process your request. My Profile: Manage your personal data and your consent. Address Book: Save or change your addresses and complete your purchases faster. Wish List: Create your customized wish list: You can save up to 50 items, be notified of their availability and add them to the Shopping Bag at any time. With your prior consent, Missoni may use your contact details for commercial communications on products and services, in order to update you on news, new arrivals, exclusive products, and to conduct opinion polls and market research, in order to detect your degree of satisfaction and improve the services offered. Only with your prior consent, Missoni will customize your experience and the contents of the commercial communications and offers that you will see when you browse on www.missoni.com as a registered user. This activity allows you to facilitate the search for products and services that are more for you and in line with your interests and at the same time allows us to improve our customized offers. The customization is made possible by the analysis of your personal data in our possession, as described in the previous section 'What personal data do we collect?'. In particular, the information on purchases you have made in the past and those relating to the sections of the site you visit most often, or the services you use most often help us to understand what products and services you are most interested in. To ensure that the information we have is correct and allow us to carry out the activities aforementioned, we invite you to access the 'My profile' section of your My Account and, if you deem it necessary, to update it. The provision of your personal data for these activities is a contractual obligation. You are free to communicate your data or not, but in the absence of the requested data it will not be possible to conclude or execute the contract, or your requests. This means that you will not be able to purchase products and you will not be able to use the services provided by Missoni, and that Missoni will not be able to handle your requests. 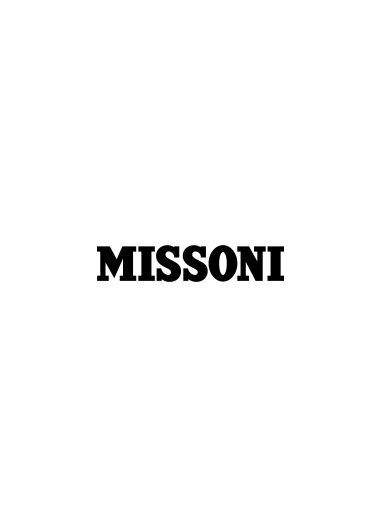 In the event of the termination of a contract for the purchase of goods on www.missoni.com, the processing of the data will take place to fulfill the legal obligations to which Missoni is subject to. You are free to decide whether to terminate a contract and whether or not to disclose your data, but if you conclude it, your data will be necessary and will be processed to give effect to the aforementioned legal obligations to which Missoni is subject. The processing of a Resume spontaneously sent, is performed to assess candidates with respect to a possible job position at Missoni, is legitimate because it is expressly authorized by a law, which specifies that in this case the consent of the person to whom they refer personal data. You are free to share your Resume with us or not, but in its absence, we will not be able to assess your candidacy for a job position at Missoni. Some of your personal data, in the event of purchase of products on www.missoni.com by credit or debit card, may be processed to perform anti-fraud verifications: We have a legitimate interest in the performance of activity to prevent and prosecute any fraudulent activity. For internal administrative purposes, your data may be processed by companies belonging to the business group to which Missoni belongs. Providing your consent for these activities is optional. You are free to provide your consent or not, but upon denial, it will not be possible for Missoni to carry out marketing activities, opinion polls and market research, nor analyze your habits. Your personal data will be processed by internal staff from Missoni, specifically trained and authorized for this purpose. During the treatment, the data may be processed by companies belonging to the business group to which Missoni belongs. Your personal data will also be transmitted to third parties that we use to provide our services on www.missoni.com; these providers have been adequately selected and offer a guarantee of compliance with the rules on the processing of personal data. These persons have been appointed as data controllers and carry out their activities according to the instructions given by Missoni and under its control. Your data may be transmitted to police and judicial and administrative authorities, in accordance with the law, for the detection and prosecution of crimes, the prevention and protection from threats to public security, to allow Missoni to ascertain, exercise or defend a right in court, as well as for other reasons related to the protection of the rights and freedoms of others. 7. Transfer of the data outside the E.U. The transfer of your personal data to countries that do not belong to the European Union and that do not ensure adequate levels of protection will be performed only after conclusion between Missoniand said subjects of specific agreements, containing safeguard clauses and appropriate safeguards for the protection of your personal data "standard contractual clauses", also approved by the European Commission, or if the transfer is necessary to the conclusion and execution of a contract between you and Missoni (for the purchase of goods offered on our Site, for registration on the Website or the use of services on the Website) or for the management of your requests. At any time you can exercise your rights with reference to the specific processing of your personal data by Missoni. Find below their general description and how to exercise them. Revoke your consent: At any time you can revoke consent given for the processing of your personal data in relation to any activity for marketing purposes. In this regard, we remind you that marketing activities are sent via commercial communications, conducting opinion polls and market research, in order to assess your degree of satisfaction and improve the services offered. Upon receipt of your request, we will promptly cease the processing your personal data based on this consent, while different treatments or based on other conditions will continue to be carried out in full compliance with the provisions in effect. Opposing the processing of your data: You have the right to object at any time to the processing of your personal data on the basis of our legitimate interest, explaining the reasons that justify your request; before accepting it, Missoni will have to assess the reasons for your request. Request that the processing of your personal data is temporarily limited: In this case, Missoni will continue to keep your personal data but will not process it, unless it is subject to your different request and the exceptions established by law. You can get the limitation of treatment when you dispute the accuracy of your personal data, when the processing is unlawful but you oppose to the deletion of your data, when your data is no longer relevant for anymore but you need to exercise your right in court and when you oppose your treatment, in the period in which we evaluate the reasons for your request. Request your data or transfer it to a person other than Missoni ("right to data portability"). You can ask to receive your data that we process based on your consent or on the basis of a contract with you in a standard format. If you wish, and where technically possible, we can, upon request, transfer your data directly to a third party of your choice. We protect your personal data with specific technical and organizational security measures, aimed at preventing your personal data from being used illegitimately or fraudulently. In particular, we use security measures that guarantee: The pseudonymization or the encryption of your data; the confidentiality, integrity, availability of your data as well as the resilience of the systems and services that process them; the ability to restore data in the event of a data breach. Furthermore, Missoni undertakes to test, verify and regularly evaluate the effectiveness of technical and organizational measures in order to guarantee the continuous improvement in the safety of data processing. In Italy, the complaint can be filed with the Guarantor for the Protection of Personal Data. Further information on how to present them is available on the website of the Guarantor, at http://www.garanteprivacy.it/. We request of you, therefore, to periodically check the contents: Where possible, we will try to inform you promptly about the changes made and their consequences. The processing of your personal data is performed by Missoni in full compliance with the relevant regulations provided for by the Regulations (E.U.) 2016/679 General regulation on data protection, rules on the processing of personal data and Italian measures of the Italian Supervisory Authority (http://www.garanteprivacy.it/) and, where applicable, of the competent foreign supervisory authorities.